We have written previously about the importance of creating a cash flow forecast, and regularly checking your cash flow. Forecasting as accurately as possible makes developing and running a business much easier. It is, however, hard to prepare a cash flow forecast when your cash flow is not predictable. The reasons behind your unpredictable cash flow need to be identified in order to find a workable solution. There are many reasons for unpredictable cash flow, and once you are aware in advance that you are entering a period of slow payment, you can work out a method to rectify the situation. Many periods of uncertainty are particularly relevant to certain markets. Weather can be an unpredictable factor for many companies, especially the trucking or distribution industry, where it can play a huge part in generating a period of unstable cash flow. Bad weather can delay or prevent the movement of goods to their final destination, and this can result in delayed or no payment at times. 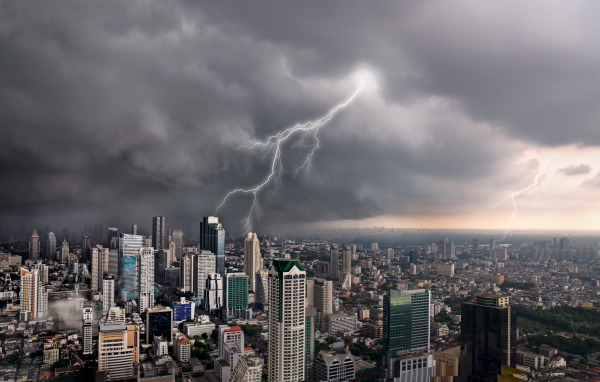 There will be unpredictable weather patterns over which nobody has control, but planning in advance for periods that are seasonally bad can certainly help with your cash flow forecast. A rise in interest or exchange rates may cause you problems if your customers pay late, certainly if you are relying upon a bank loan, or credit cards to cover your expenses. Carefully examine the patterns and trends, so you can at the very least build these possibilities into your cash flow forecast. For example, a cap company specializing in baseball and football caps needs to prepare for an influx of orders and hire more employees during the months leading up to football and baseball season, but they also need to look at the variation in orders from year to year, as well as which other manufacturers are entering the mix. If they examine best, most likely and worst case scenarios, and enter each of those into their cash flow forecast, they will have a better idea of their cash flow for the year. Contact one of our professionals today to find out how Invoice Factoring can remedy cash flow dilemma’s.